At Sunday Sun Spa Shop, skin is always in. We are dedicated to bringing our members the latest innovations in skin treatments and therapies, so you always look and feel your best. 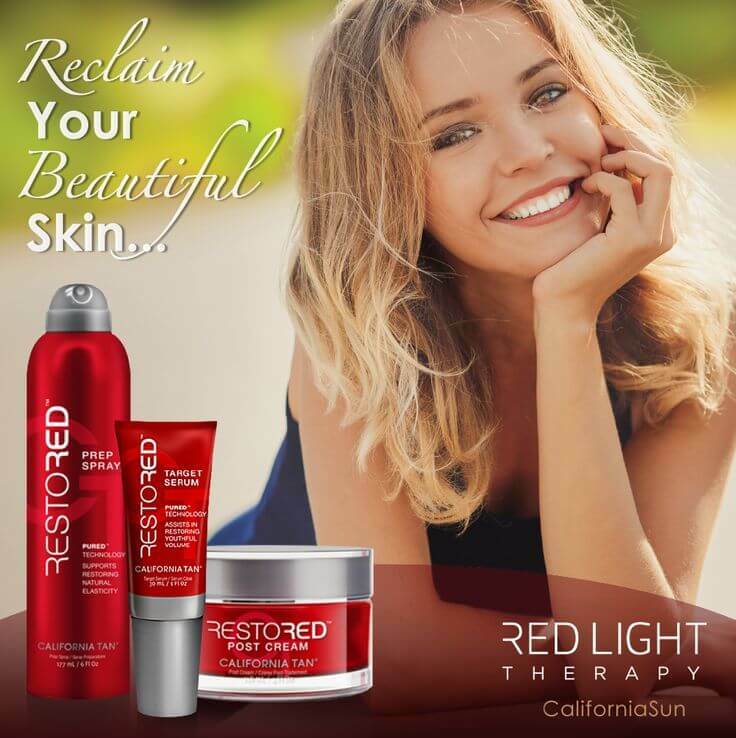 If you haven’t visited us lately – and why not, with twenty locations in Hampton Roads we aren’t far – we invite you come see a new product designed to reclaim beautiful skin. Step 1: RESTORED Prep Spray – Proprietary ingredients like Pu[red] and CT-Protect protect your skin from blue-violet rays and help rebuild skin cells so you gain a youthful appearance. This spray also contains aloe vera and Vitamin C to hydrate and add a natural glow to your skin. Step 2: RESTORED Target Serum – A gentle rollerball applicator helps stimulate your skin as shea butter and Vitamin E moisturize and fight the free radicals that do damage. Proprietary Renovage technology helps diminish sun and age spot and bring your skin to an even tone. Step 3: RESTORED Post Cream – Pro-Vitamin B5 works to keep the skin from losing moisture, while natural ingredients like argan oil and argireline peptide help reduce lines and restore a youthful look. You can find all the details (and long, scientific words) from California Tan. To experience the change in your skin, come to Sundays. A deal like this won’t last.